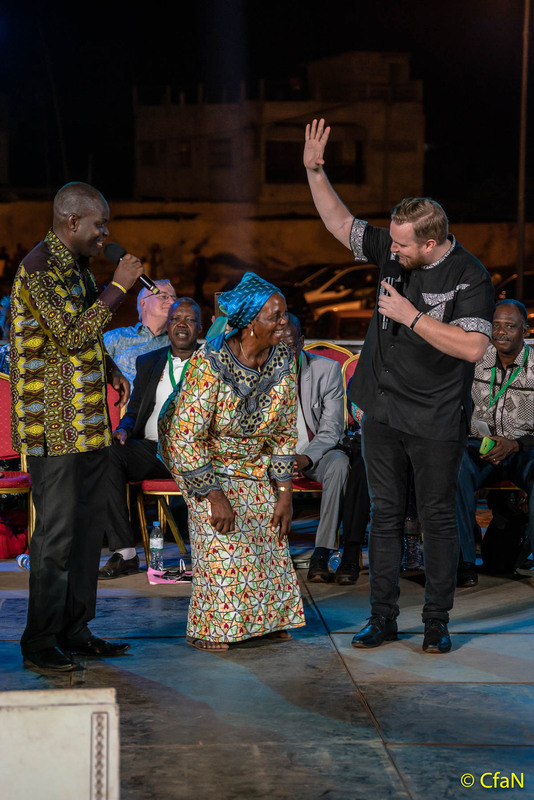 We have just returned from the second night of our gospel crusade here in Lomé, Togo. It already appears that the field is going to be far too small. I preached about the blood of Jesus and the Holy Spirit demonstrated its power. After the prayer for salvation, we burned drums filled with demonic trinkets, charms, fetishes, amulets, “juju” and idols. Often these items have been given to people by witchdoctors. They instill great fear and superstition in those who possess them. Tonight the people renounced them and the witchcraft behind them. I took authority over every curse, broke them in Jesus name and the people rejoiced in freedom. Many of you are probably aware that for the last year or so, we have been training and equipping young evangelists who we send into cities for weeks ahead of our crusades to do local evangelistic outreaches. They go to many places that our main crusades cannot reach. 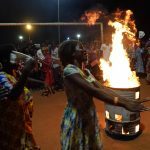 They minister in schools, villages, marketplaces, on street corners, on church properties and football fields – anywhere they can attract an audience. Our technicians have built custom trucks equipped with retractable sides, a stage and sound system that constitutes a portable crusade platform that can go anywhere. Using these trucks, our evangelists will conduct up to three meetings per day. 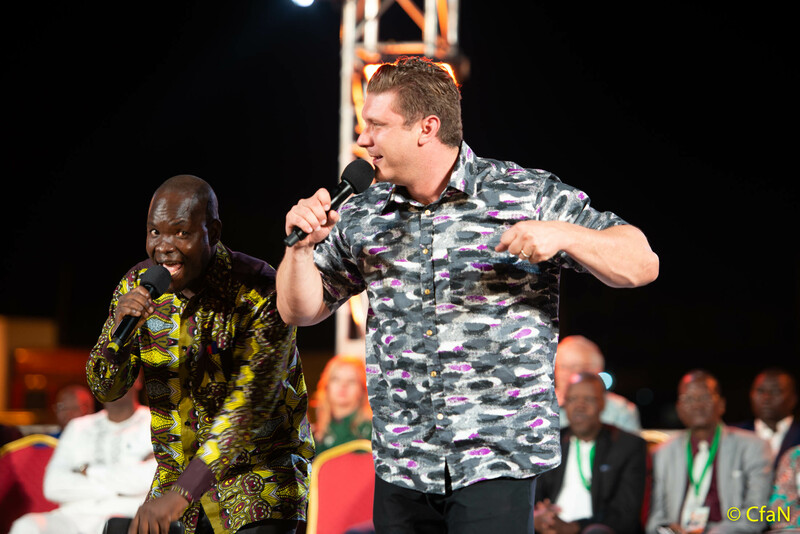 For the last eight weeks, our evangelists have been on the ground here in Togo preaching the Gospel. Two of those evangelists, Paul Maurer and Jared Horton, are still here with me. Tonight Paul prayed for the sick and wonderful testimonies followed. A woman who was involved in a car accident and could not walk for one year as a result, was healed. A woman who was paralyzed and carried to the field tonight can now walk. A young lady whose foot was twisted to one side was healed as her foot straightened out and she can now walk normally. 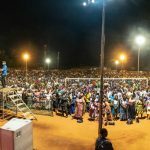 A woman testified that in one of the village outreaches, a lump in her breast vanished. 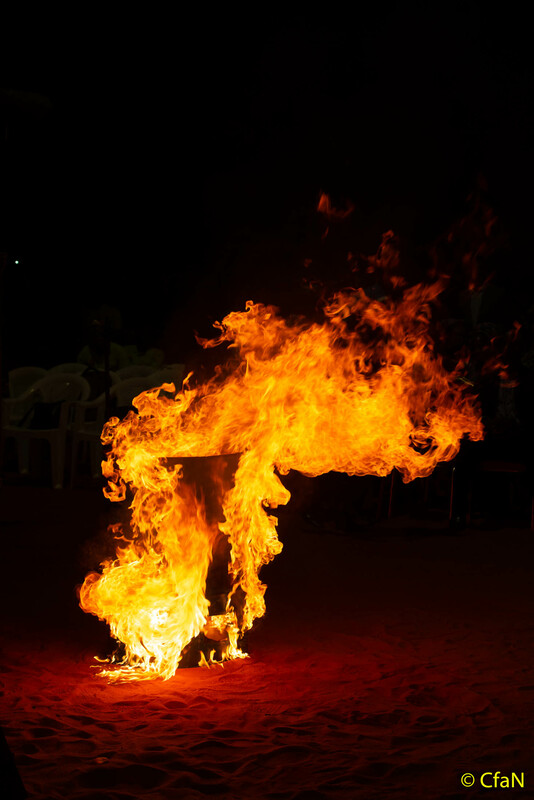 Tomorrow the Fire Conference will conclude as we pray for the people to receive a mighty outpouring of the Spirit. Please pray for us and for Lomé. The best is yet to come is Jesus name!